Want to become an expert Google searcher? Now you to know how to get a good listing on the worlds best search engine are you sure you know how to use it like an expert? Google is an extremely powerful search tool and like most good software is grossly underutilized because we do not take the trouble to read the instructions you know the expression when confronted with the opening of a new toy or gadget: If all else fails then read the instructions! Google is like that. Here is one of my favorites to get us into the spirit of things. DO YOU KNOW WHAT JULIAN DATES ARE? Astronomers at some stage in the past decided, no doubt for very good reasons, that the first day of the Julian calendar started on or around January 1st 6,738 years back from December 31st 2002. December 31st 2002 thus has the number 2,452,640. Google uses Julian dates to do time calculations so if you would like to know if any sites containing your url were listed between July 1st 2002 and October 22nd you need to know the Julian date numbers. For more information on Julian dates you can go to one of the US navy sites or search on your favorite search engine. The search query has the following format query date range: older Julian Date-New Julian Date as in example below. Here is a practical example. Lets find all the pages containing the query African hippopotami that were in the Google index between April 1st 2002 and December 31st 2002: This is your query ..
African hippopotami date range: 2452365-2452640 (answer 1,030). Take a look at the next screenshot you have probably seen the word cache many times and ignored it if you are like most of us. If you click on this you will see the web page that Google has cached i.e. 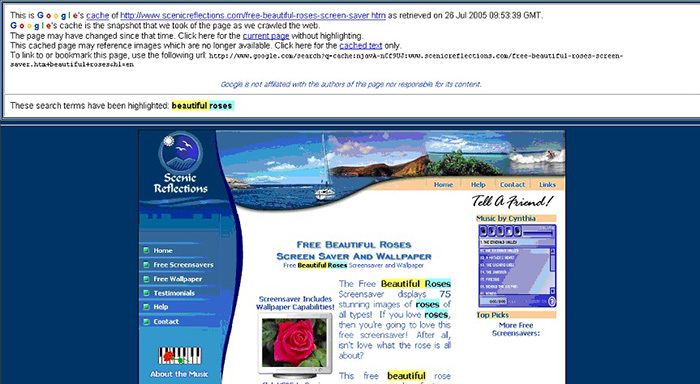 retained in its database for use in its algorithms. If your site has been updated since the last full indexing then clicking here will give you the old page. The advantage is quick response and the fact that search terms are highlighted. Heres a cached page. Selecting this option will highlight the word or phrase that was the subject of the search query in the information Google returns upon completion of the search. 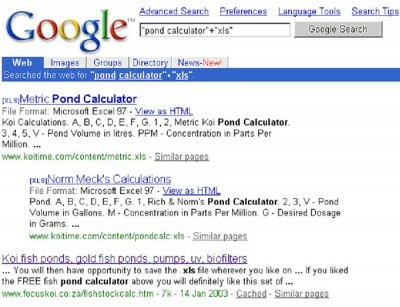 By clicking this new underlined link for the search term (see below for two underlined words indoor and ponds) you will be taken to a dictionary provider for the definition. If you want to search for particular file types for example you know that there was very good pond calculator available in Excel format then you could find this more easily by restricting your search to certain file types. The second two search types will return only sites with the file type in the url. Note that the file type is shown in brackets before the Title. Google at the last check indexed 12 different file types including Microsoft office, Lotus 123, Adobe Acrobat pdf, and Corel Wordperfect. This knowledge also allows you to publish any document matching the file extension above and through Google you can get search engine traffic. Do not be afraid to publish all that work you have in word or Excel if it is worthwhile. Google News is a good source of up to date information. 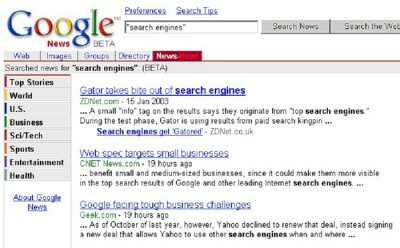 Go and type search engines and then click on the News tab and you will see recently indexed pages providing up to date news on search engine positioning. This could be a good source of newsletter information for you. 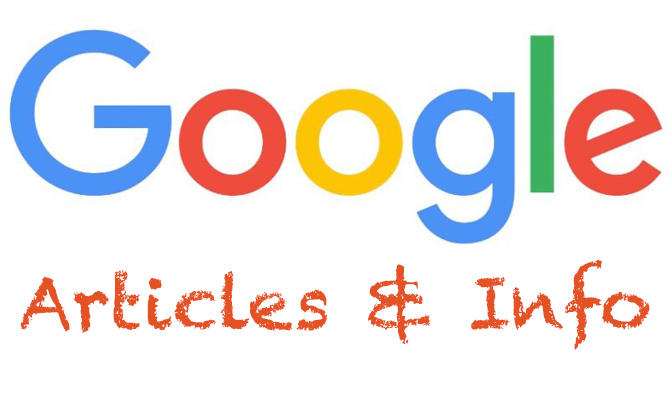 Similar pages according to Google are those that have essentially the same Titles and snippets of information, which normally identify the information as being from similar sites. Google will not show all the pages from the same site (unless specifically requested after initial search is complete) and normally limits the results to two maximum. If you click on the similar pages link Google will scout for (it is called the Google Scout) similar possibly competing pages, which will help in your analyses. LOOKING FOR SPECIFICS YOU KNOW EXIST ON A WEBSITE. The address must include a street address and at least the city name, which can be extended by state and zip code if necessary. 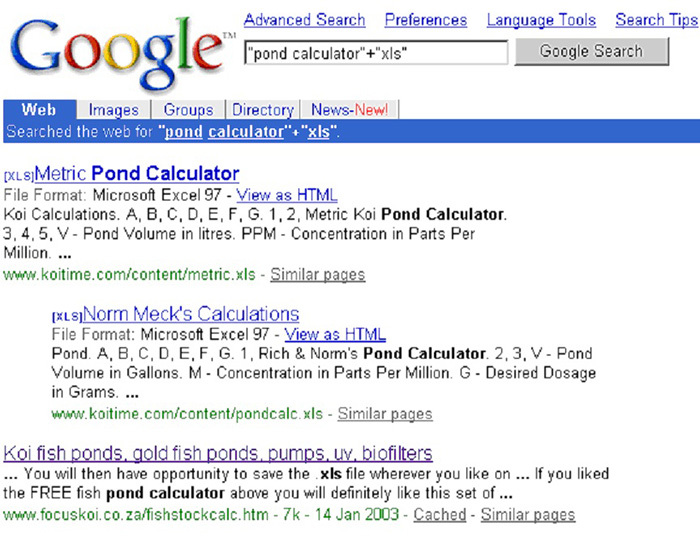 Very powerful searches can be done using search modifiers. 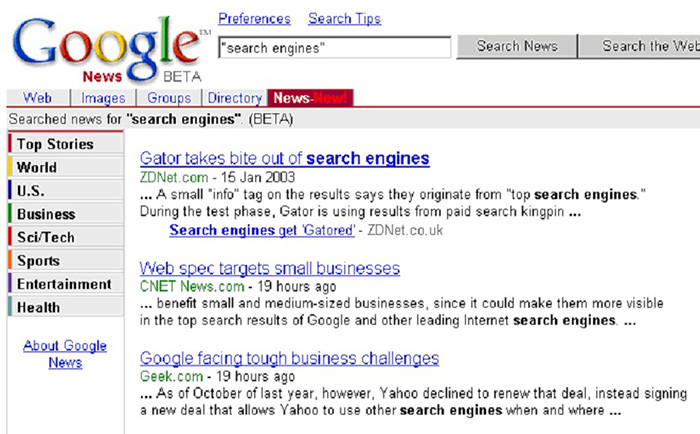 Most search engines have their own specific way of addressing the search query. Google uses the following modifiers. Note each modifier is followed by a colon : . 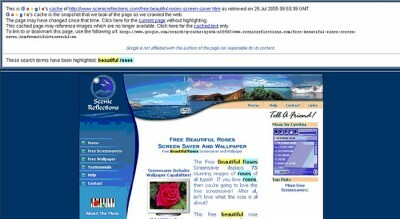 link:www.xyz.com would give all links leading to this website. The remaining operators are self explanatory. Remember you can use more than one modifier at a time to refine your search. 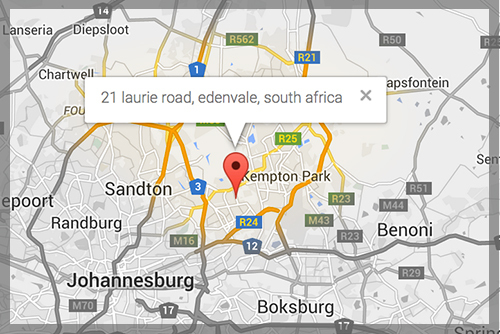 If you prefer to click a button to do these advanced searches then this is easily achieved. All you have to do is select Advanced search.